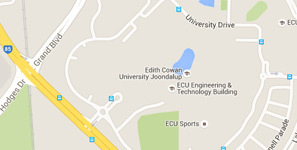 The Northern Suburbs Community Legal Centre (Inc) is located on ECU's Joondalup Campus. Provide low-cost or free legal services to disadvantaged members of the community. The Centre is staffed by qualified legal practitioners, paralegals, social workers and administrative staff. They provide legal information and advice for the community in the areas of family law, tenancy law, criminal law, domestic violence and some areas of civil law including elder abuse. An integral part of the partnership between the Centre and ECU’s School of Business and Law is the law student workplace practicum. 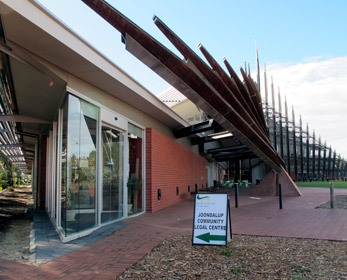 Studied as an elective unit, Community Legal Practice (LAW3602), students undertake a workplace practicum at the Centre, learning first hand many of the skills necessary for the responsible and successful practice of the law. Under the supervision of qualified legal practitioners, students will assist in the delivery of legal services, allowing students to apply much of the theoretical knowledge acquired in other law units. Students will also learn about the practical and ethical aspects of giving legal advice including management of client expectations and confidentiality, and will be encouraged to reflect upon the adequacy of the law within a social context. This long-term collaboration enhances professional practice, community capacity building and significantly contributes to building a reputation for academic outreach with high community impact.